Nice to see this area imaged! 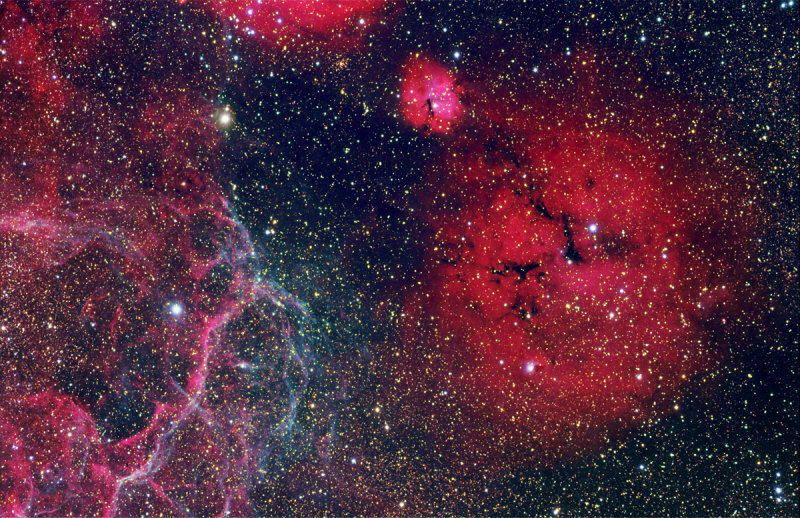 Actually it isn't the Gum Nebula, they are catalogued as Gum 14 and Gum 15. A closeup of the reflection nebula NGC 2626 embedded in the larger Gum 14 would be great.